Come to St. Martin’s Lutheran Church this Thursday, May 17 and raise your voice in song with Craig Hella Johnson and Conspirare Symphonic Choir. We guarantee that you and hundreds of singing friends will be the biggest choir in Austin that day. Craig Hella Johnson will lead the assembled multitude in singing popular American folk songs, classics from Broadway and the Great American Songbook, and traditional choral music. 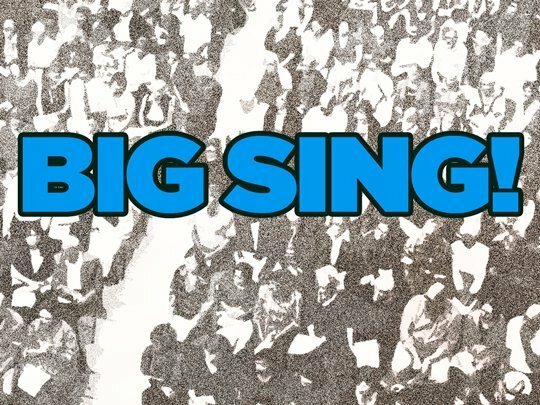 You can also expect some favorites from past Big Sings, back by popular demand. No experience is needed and songbooks are provided. It’s fun, informal, and FREE – see you then!